The Challenge hydraulic round cornering machine is a premium round cornering unit that was manufactured specifically for the high-production market. With a cutting capacity of up to 4" thick-- that's 3" more than most corner rounders of this size-- the Challenge Hydraulic Cornering Machine can power through almost any job. It can handle paper and plastics of any size because of it's open table. Gravity chip disposal keeps your work space clean during production. The precise cutting action that the hydraulic Challenge cornerer delivers is unsurpassed. 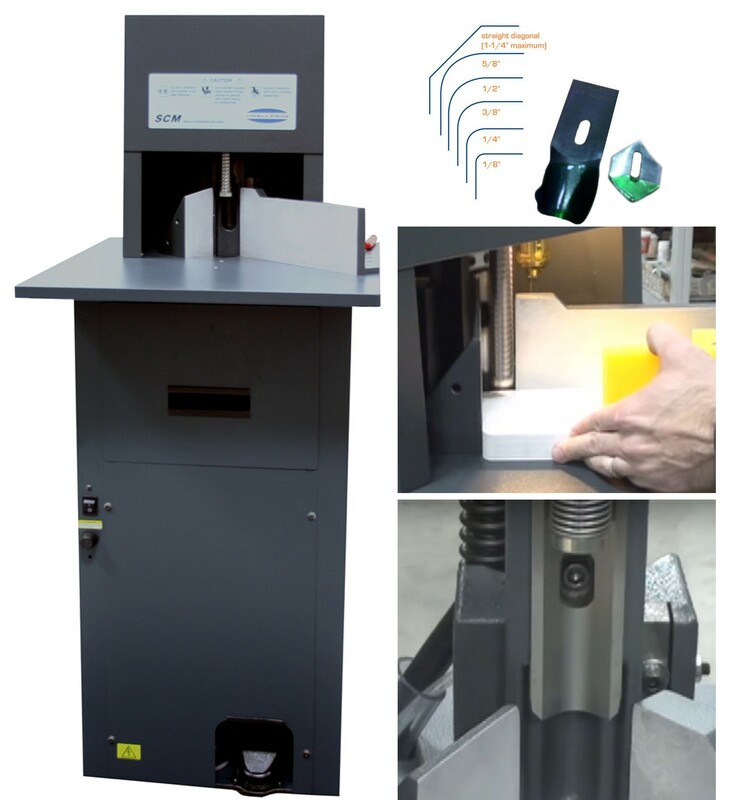 This Challenge corner rounding machine accepts six standard size cutting units ranging in size from 1/8" through 5/8" radius. One standard cutting unit of your choice is included for free with your purchase, and additional cutting units are available to expand your capabilities. Standard Die Sizes 1/8", 1/4", 3/8", 1/2" & 5/8"